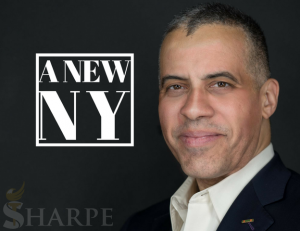 Larry Sharpe will return New York to the premiere state in which to work, live and raise a family. If New York is not prepared to make a shift in leadership, the state will continue to lose. We are losing in terms of population, jobs and innovation. More than 100,000 people leave, every single year. We cannot continue this way and expect things to get better. To expect anything more than a continued culture of corruption, political theater and out of control spending would be the very definition of insanity. The time for communities in New York to rise up and take a stand is NOW! Larry is passionate about standing up for working New Yorkers who have suffered under the current administration. They’ve been suffering in many ways. Families are being torn apart and children are suffering because of family courts. The poor are being thrown into jail because they can’t afford bail. A hostile hiring environment drives jobs out of our state. Environmental disasters are left unremediated and money is allocated away from cleanup and victims’ medical bills while the guilty go unpunished. High taxes drive the youth to flee to Florida and the Carolinas for opportunity. The education system is extremely expensive, yet still fails our children while burning out our caring, hard working teachers. Veterans and others are afraid to seek mental health treatment for PTSD and other ailments out of fear of having their weapons taken away. Many New York voters are feeling so hopeless that they have simply given up. Cuomo’s made things so bad, that New York now has a suicide epidemic. Our revolution is impossible with the same stagnant leadership. This is why we need A New New York. This is why we need Larry Sharpe. Click a heading in the table of contents below to learn more specifics regarding the plan for a new New York. Also, be sure to sign up for updates so you may have the freedom that only comes with knowledge. New York state must immediately take action to eliminate poverty traps like the examples discussed below. Propositions like these make it difficult for struggling New Yorkers to reach their full potential. If the state continues to penalize people for earning more money they will be afraid to earn more money. As a result, poverty holds them hostage and dependency on welfare is perpetuated. -Raise the cap that restricts how much welfare recipients can have in their bank account before losing benefits. -Create an insurance product to help people gradually depend less on welfare as they increase their income. -Remove restrictions on non-profits that help the poor. If local, municipal laws make this process more difficult or harder, then a spotlight will be shone brought on the issue and Larry will apply pressure to fix the problem. In some areas, housing is much too expensive. This is often the result of inept municipal government. This is incredibly true in New York City where the primary fault lies with expensive housing which is generally controlled by local community boards. Unelected officials who have been appointed at the whim of leadership face little accountability for failing their constituents. As governor, Larry will pressure New York City to convert these positions into elected offices so the individuals serving in these roles will be held accountable for their shortcomings. Additionally, Larry will create awareness regarding the local policies, generated by community boards, that ultimately led to significant increases in housing prices. New York small businesses are abused. New York must take steps to be friendly to both small business and hiring. 1) One of our top priorities is to lower the cost of healthcare which will help keep small businesses’ employment expenses down. They will be able to improve the economy through increased hiring and also have greater potential to grow and thrive alongside larger businesses and corporations. 3) Repeal the scaffold law which stifles construction companies. These outdated laws were put in place prior to the worker’s compensation program which has provided an alternative option for managing these types of regulations. 4) We must quit placing so many restrictions on new and developing industries including vape shops, hemp / marijuana businesses and cryptocurrency and instead allow them to innovate and flourish. 5). To encourage small businesses to help with rehabilitation of felons after they’ve been released from prison, employers will receive payroll tax waivers for these individuals during the first two years of their employment. The returns to taxpayers are two fold because we are encouraging economic growth for this population of individuals, as well as reducing the likelihood of them returning to prison (recidivism). 6) Many of the occupational licenses required by the government do very little to actually improve the quality or safety of the work being performed. Any licensing requirements for goods and services people would generally be comfortable asking someone they know to provide or perform should be repealed. This will make it easier for small businesses to hire capable people, which will in turn make it easier for these individuals to climb out of poverty without having to pay to simply to feed their family. 7) The government should not raise the tipped minimum wage. A recent attempt in Maine led to the discovery that this measure actually hurts the total compensation of waiters and waitresses. Ultimately, the backlash from restaurant workers was so strong that the legislature repealed it. In New York state, the criminal justice system is rife with numerous issues and requires significant overhaul. In addition to the high rates of recidivism, innocent people are being sent to jail simply because they cannot afford bail. Lawsuits are common and incredibly expensive. All of these issues contribute to overworked correctional officers who have a limited collective voice when it comes to addressing criminal justice reform. 1) Mandate that a minimum of 4 methods of bail payment be made available by the courts, including the option to pay by debit or credit card. 2) Reduce bail amounts for low level non-violent offenders. 3) Provide low level non-violent offenders with GPS enabled ankle bracelets in lieu of jail. Larry believes in creating CRUs (Community Reform Units) to help reduce recidivism, rehabilitate inmates, and give them a second chance at life. These CRUs will be operated by a combination of correctional officers and volunteers, including former inmates who are productive members of society. These CRUs are modeled after a Massachusetts initiative referred to as the HUMV program, which reduced recidivism rates from around 75% to around 5%. Input from corrections officers, former inmates, and current inmates will be essential making this objective clearly a team effort. Inmates will be screened to ensure that those with psychopathic tendencies, who present the lowest chances for successful completion, are not brought into the program. Upon completion, qualified inmates will be granted an early release. Over time, CRUs will generate savings for taxpayers as recidivism rates plummet and less people need to be imprisoned. The savings will be used to pay for both de-escalation training for guards and the hiring of new guards. The CRUs will also work alongside the newly created Office of Pardon in determining which prisoners are eligible for pardon or commutation of their sentence. Correctional officers are overworked and understaffed which amplifies the incredibly stressful environment they work within. This is not conducive to proper treatment of those in state custody and It is very detrimental to the well-being of the corrections officers who have to experience these conditions. We will ensure that correctional officers get their contracts in a timely manner and will work hard to improve their overall working conditions. Some of this improvement will stem from decreased inmate populations which will result from legalization of marijuana/hemp and pardoning marijuana and SAFE Act offenders. Incidences of wrong doing on the part of corrections officers and prisoners alike present a special problem in providing evidence for the prosecution of crimes committed behind prison walls. Greater consideration must be given to the placement and addition of cameras in prisons so that witness testimony is not so paramount to investigations.This necessarily reduces the impact of false accusations brought forth by inmates and offers a higher degree of protection for corrections officers. Inmates will also be protected from false allegations that correctional officers might make against them. Officers will be able to rely more upon surveillance to aid in the resolution of disputes between prisoners instead of eyewitness statements in which minor mistakes may lead to possibly losing their jobs. Ultimately, such measures will save the state a lot on the wasted funding commonly sunk into defending prison lawsuits. Information technologies are making products and services of all types more convenient and less expensive. Thanks to widespread adoption of smartphones, inexpensive broadband access and open source software, innovation is apparent in nearly every industry including transportation, retail, media, housing, healthcare, education and beyond. Instead of leveraging innovation to make government faster, better and cheaper, New York state is resisting it at every turn. Government websites routinely have out of date information with confusing interfaces that are difficult to navigate using smartphones. When these websites do work, their functionality is often limited to instructions for using the phone or standard mail to perform a task that should be made accessible online. Behind the scenes, State IT projects are routinely over budget and behind schedule thus costing taxpayers untold millions, delaying much needed reforms and keeping the government structured like it’s still the 20th century. Furthermore, lucrative IT contracts often fall into the hands of politically connected corporations. We can and must do better. 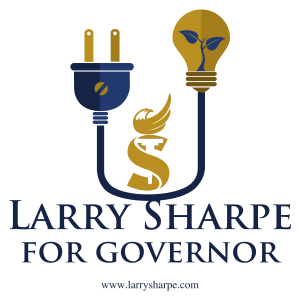 Larry will bring the entrepreneurial energy, digital savvy and startup mentality necessary to make the state of New York a leader in open and effective government in the digital age. Governments have been using computers for 50 years, but only recently have technologists begun to apply tech-startup-style tools and techniques to reform decades-old government bureaucracies and make them more flexible, responsive and efficient organizations. The solution: Establish “digital services organizations” within government agencies to streamline their technology systems, reform their procurement processes and integrate them into a state-wide IT strategy centered around the principles of “open source way” which includes open exchange, participation, rapid prototyping, meritocracy, and community building. Larry will establish a “digital service organization” modelled after the US General Service Administration’s 18F unit to bring the government of New York state into the 21st century. Similar initiatives in the UK have saved governments approximately .15% off the annual budget. That would amount to approximately $250 million per year of savings while actually improving services. This effort will more than pay for itself in the savings generated. An attempt to investigate the New York State governments budget quickly leads to the discovery that the information promised to be available to the public is hard to access. It is also difficult to understand and woefully incomplete in terms of scope and depth. The government isn’t interested in helping taxpayers understand how or why the state is spending their money. Larry will work with the nonprofit sector, other governmental sources of public financial information and the public to make New York the state with the most transparent budget. The public will be able to drill deep into the state budget and identify a line-by-line account of how New York state is collecting and spending their money and how those expenses transform into legitimate projects and services that benefit New Yorkers. Instead of locking this information away in spreadsheets with cryptic names and useless categories, that date will be relayed in an engaging and understandable format through engrossing interfaces modelled after popular video games like SimCity. Over 80% of New Yorkers have smartphones, and use them to do everything from ordering products to coordinating their work. They should also be able to use them to interact with the government. Larry will reorganize New York State websites to use best practices in usable, mobile-first design. He will also compel agencies to make their data accessible via APIs and other backend technologies necessary to enable responsible data sharing between agencies and the private sector so people can create products and services that make interacting with New York State, accessing government services, paying taxes and sharing policy opinions faster, better and cheaper than ever before. A healthy democracy requires a deeply engaged constituency that understands how their government works. Ideally, these voters also know how to build consensus with their fellow citizens enabling them to effectively advocate for policies they want to see enacted. Voting once every two years and signing the occasional petition is not enough to hold our political leaders accountable. We need more and better mechanisms for the public to compel action from its political leaders and the government agencies that work for them. Governments around the world are figuring out the best way to encourage public participation in political and administrative decision-making a reality for their citizens. In Madrid, Spain, the public uses an open source city website to fund projects, pass proposals and ratify legislation. In Taiwan, the national government organizes collaborative decision-making processes that use online tools and offline events to transparently gather public sentiment and bring the public to consensus about what policies to implement. In Reykjavik, Iceland citizens use online tool to prioritize what projects the city should execute. Larry will implement a program that brings many of the best practices developed in places around the world together to help empower New Yorkers to engage in productive conversations with their neighbors, develop practical proposals that address local challenges, and get those proposals implemented by the relevant political and government stakeholders. The epidemic of substance abuse has been on a rising trajectory for quite some time. Our first step in reducing this trend is to reduce, and one day eliminate, the practice of prosecution and imprisonment for non-violent drug crimes. By treating addiction as a health concern rather than a criminal matter, we address the root of the problem and reduce the growing rates of recidivism and crime. 1) We will promote drug education that is wholly rooted in fact, and created in combination with other sensible policy programs including Drug Policy Alliance, Students for Sensible Drug Policy, and Families for Sensible Drug Policy. 2) We will establish overdose protection sites (OPS) and other low-threshold facilities that will ensure the public has access to the resources necessary to fight addiction, and circumvent the crime and other problems that arise from substance abuse. 3) We will lower priority for law enforcement programs and initiatives focused on continuation of arrest or prosecution of non-violent drug related crimes. Individuals would instead be redirected to options for treatment, which may include the previously mentioned OPS programs. The time to legalize cannabis and hemp farming is now. 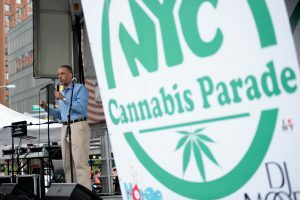 New York should have just as much opportunity to reap the economic rewards of these two policies as any other state in the U.S.
1) Legalization of cannabis at a recreational level is necessary, if for no other reason than we are wasting too much of the taxpayers’ money on prosecuting and housing non-violent drug offenders. Nearly half of the drug-related arrests across the U.S. stem from cannabis and, of that portion, almost 90% were due to simple-possession. 2) Growing, processing and distributing both marijuana and hemp should be not regulated any more than other agricultural crops. 3) Funding and resources should be available to companies wanting to research and develop these crops. Click here to read a research-intensive policy “white paper” that identifies data and sources in support of these policy measures. 1) Schools need the freedom to set their educational curriculum and expectations to meet the needs of the people most directly affected by the institution. This is especially true for students in their final two years of primary education. Our solution: We would end traditional education upon completion of the tenth grade, and give students and parents the opportunity to choose the best path for the next two years and beyond, based on the talents and desires of the individual. That could mean spending the next two years in college, entering a trade or apprenticeship program, or perhaps entering directly into the workforce. Additionally, in the event that a student completes the tenth grade but unable to decide how to utilize their resources for the final two years, they will have access to that funding over the course of the next ten years. 1) Allowing individual counties and municipalities the opportunity to choose whether or not to allow fracking, as well as creating the necessary zoning laws associated with such choices. As governor, Sharpe will provide an 18 to 24 month timeline for lifting the fracking moratorium altogether. 2) Energy projects meeting current environmental laws and those that already have the approval of other state and federal agencies will not be vetoed by Governor Sharpe. Companies must have confidence that our procedures and laws will not be overruled by corrupt officials only looking out for their own personal gains. 3) Allowing the expansion of existing energy corridors to enable the necessary growth to meet New Yorkers’ energy needs. In some areas, new power lines and pipelines are not built simply because the current corridor cannot safely accommodate them- this must change. 1) New York burns diesel fuel for electricity during heavy electricity demand periods. Allowing more natural gas pipelines or small scale liquefied natural gas (LNG) plants will eliminate this need. 2) We must expand supply markets and benefit from the resulting lowers costs, especially on Long Island, where residents pay the highest prices for electrical power and heating oil across the entire state. 3) Fostering innovation across all energy sectors, including nuclear, is an absolute necessity. Existing nuclear designs are uneconomical and lack safety, but new designs, like thorium-salt reactors, have great potential. Click here to review a q & a that can provide answers beyond the policies discussed above. Click here to read a research-intensive policy “white paper” that identifies data and sources in support of the above Fracking policy measures. Click here to read a research-intensive policy “white paper” that identifies data and sources in support of the above Pipeline policy measures. When it comes to the state’s ability to address natural disasters, New York ranks dead last. This deserved reputation is the result of the major losses that have followed previous calamities, including the tolls taken on people’s’ well being, economic livelihood and personal safety. One source of trouble is the convoluted, expensive investigations the state implements to assess the damage left behind. Even after the state issues the necessary funds to begin the cleanup and recovery process, they are often mismanaged and subsequently funneled away from victims. 1) Adopt modern solutions to disaster cleanups including bio-remediation and a reduction in our dependence on lengthy and antiquated federal Superfund hearings. This will improve environmental outcomes and save money. 2) Remove restrictions on the hemp industry and encourage the production of hemp-based bio-plastics which will help fill a long-term environmental and economic need. 3) Demand that companies are held accountable for environmental crimes by introducing an Environmental Victims Unit (EVU). This is a team composed of scientists and engineers who would direct the investigation and prosecution of environmental crimes. 4) Ensure that the Attorney General (AG) has experts in the environmental justice field to help with prosecuting crimes of that nature. 5) Explore safer generation IV nuclear reactors to bring New York State closer to energy self-reliance.. Although this technology may not be available for 10+ years, it will allow recapture of spent fuel rods, virtually eliminate the possibility of reactor meltdown, and eradicate the need for drawing material from the environment with zero carbon emissions. Utilization of these types of reactors will help reduce our dependence on fossil fuels in favor of cleaner, more sustainable, and more affordable energy sources. 6) Push legislation that requires the penalty payments received to be allocated to the victims directly impacted by that instance of pollution / environmental degradation and cleanup. 7) Make it easier to deploy and use renewable energy, including further investigation of innovative technologies available for renewable resource use. 8) Remove New York state’s liability caps for people and companies proven responsible for environmental disasters. Larry believes in creating CRUs (Community Reform Units) to help reduce recidivism, rehabilitate inmates, and give them a second chance at life. These CRUs will be operated by a combination of correctional officers and volunteers, including former inmates who are productive members of society. These CRUs are modeled after a Massachusetts initiative referred to as the HUMV program, which reduced recidivism rates from around 75% to around 5%. Input from corrections officers, former inmates, and current inmates will be essential making this objective clearly a team effort. Inmates will be screened to ensure that those with psychopathic tendencies, who present the lowest chances for successful completion, are not brought into the program. Upon completion, qualified inmates will be granted an early release. Over time, CRUs will generate savings for taxpayers as recidivism rates plummet and less people need to be imprisoned. The savings will be used to pay for both de-escalation training for guards and the hiring of new guards. In New York, farmers are being crushed by heavy regulations the state and federal government have placed on food and other agricultural products. While some of these regulations can be circumvented via farmers markets, these markets are also regulated and restricted in their own ways. One example is a document New York uses to guide the regulation of apples, which is more than twenty pages long. Larry’s proposal, aptly titled Farmer Freedom will exempt nearly every federal and state agricultural food law for farm-to-table or business.This means that these farm products may not leave the state and must also be labeled as not being in compliance with state or federal guidelines. A version of this program is already in use in Wyoming and has seen great success. Some of the remaining regulations to be addressed include those applicable to meat products. If a retail or food business would like to sell locally grown agriculture for consumption they can do so as long as these products are separated and clearly labeled. It is important to note that in instances of foodborne illness, any entity or person that has allowed contamination will be held liable. Larry envisions many small farmers taking advantage of this reduction in regulations and benefiting greatly by keeping the retail of their products in-house and operating more like a craft business For example, a dairy farm could make its own yogurt and sell it in local stores or perhaps hemp growers might manufacture their own hempcrete to facilitate local construction. This policy will allow farmers to be treated more like small businesses with their only major restriction being placed on selling their locally unregulated products out of state. There is a culture of corruption in New York state that must be broken.The first step is in improving transparency is to create an Office of Transparency that will ensure oversight of government officials’ conduct. Having a division like this would help identify the best leadership practices – successes will be replicated and failures will bring necessary growth and change. More importantly, leadership will be subject to greater public scrutiny and held accountable for their corrupt deeds. A primary focus for greater accountability is found within the many New York corporations owned by the government, committees, and boards who mostly act as a power unto themselves. Since these boards are made up of appointed officials they are insulated from elections. These removed entities make great scapegoats for politicians and provide them with the perfect opportunity to avoid taking responsibility for the misdeeds. Larry Sharpe vows to put a stop to these practices and introduce a culture of culpability among public officials. Every governmental role and function should be subject to the consequences of democracy. This means these positions and actions will either be directly voted on or determined by someone else who is electable.The buck must stop somewhere. Albany’s unfunded mandates and overreach are strangling the most local levels of government all across the state. Instead of centralized control, we will provide local government with significantly more autonomy. It is important to note, however, that the executive branch will always provide increased assistance to local municipalities if it’s requested. If citizens find their rights threatened by local government they can petition Albany for assistance from Larry and his administration. Two additional offices created will include the Office of Pardon and the Office of Repeal. The Office of Pardon will help identify individuals who have redeemed themselves within the confines of their prison sentence and may be eligible for a pardon or commutation of their sentence. The aforementioned Office of Repeal will investigate and identify outdated, unnecessary and potentially harmful laws and work to repeal them. We will implement a CTC (Community Tax Credit) that will permit taxpayers to donate up to $500 pretax to a charity they have chosen. Of this portion, half can go to any charity within the state and half can be distributed to any charity in their county. This will help us fund important community programs without the overly complicated political processes which will reduce the likelihood of corruption in officials’ decision making. The competition this will create will require charities prove themselves to New Yorkers, assuring them that their money is being utilized effectively, efficiently and specifically for their cause. Arguments revolving around “who pays” for healthcare have left government in an unending gridlock. One important neglected assertion is that healthcare reform and health insurance reform are two separate matters. Due to that fact, our repair process revolves around reforming healthcare into a more consumer driven industry. 1) Require all providers to have transparent pricing that is simple and easy to understand. 2) Provide a website resource to help New Yorkers find the best and cheapest solutions for their healthcare, including price comparisons between providers. 3) Repeal Certificates of Need (CON)- CONs are essentially permission slips that healthcare professional, who are already properly licensed, must obtain to provide healthcare to consumers. In theory, this piece of paper “proves” there is a need for their practice. In reality, this is a pointless barrier to entering the healthcare field that has zero positive trade offs such as increased quality or reduced cost. Conversion of Medicaid into an HCDA (Healthcare Debit Account)would give greater flexibility to patients as it will allow them to use it to see virtually any doctor. If the recipient’s’ personal savings account runs out, then they would be able to use traditional Medicaid as a backup option. The HCDA will roll over to an individual or company HSA (Healthcare Savings Account) when the individual no longer requires Medicaid. This will also save money because recipients will be more encouraged to care about the cost associated with medical care choices. 1) A minor, but necessary increase in copays which must be paid before using the HCDAfunds, however, we will maintain $0 copays for things like vaccines and birth control since these are measures that help keep the overall cost of healthcare down. 1) Allow all medical school graduates to be licensed as physician’s assistants until the remaining requirements , such as residency, have been met to become a doctor. 2) End college course requirements for medical school which will enable doctors to finish school with less debt and have an easier time starting their own practice or clinic. 3) The same should be done for nurses and class capacity should be increased to accommodate rising demand to pursue the opportunity. 4) Residency requirements should be capped at 1 year regardless of who accredits them. End the exclusion of professionally competent healthcare providers and workers and expand acceptance of residency training to graduates of all officially recognized medical programs. 6) Empower nurse practitioners to do more. 1) All telemedicine providers be allowed to operate in New York as long as they meet requirements to practice. We must also stop requiring them to be on a list of pre-approved sites. 2) Elimination of on-site assessment requirements for telehealth. In conclusion, please understand that Consumer-Driven Healthcare Reform means returning choices and power to people while driving prices down because providers must once again compete for business. Instead of being primarily concerned with who pays, this policy is more concerned with reforming the primary healthcare markets and state-level management of the care industry itself. Click here to read a research-intensive policy “white paper” that identifies data and sources in support of the above HCDA and Medicaid reforms as well as CON relative and transparent pricing policy measures. Click here to read a research-intensive policy “white paper” that identifies data and sources in support of the above overall healthcare reform, including telemedicine policy measures. 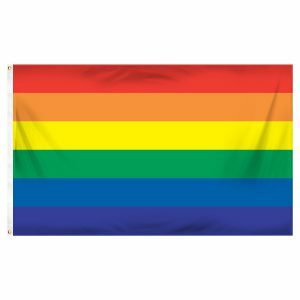 Recent failures on the part of leadership, at a state and federal level, have shown a great lack of consideration for members of the LGBTQ+ communities. Larry Sharpe feels it is critical that the political theatre of present becomes a thing of the past. The rhetorical stances of governing officials must match the legislative actions they take. 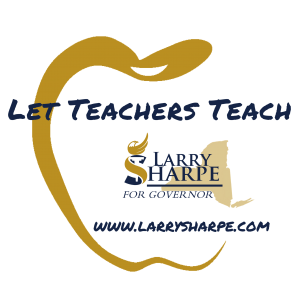 Instead of the empty promises of the current state administration or the backward steps taken by some in national leadership positions, Larry is committed to being a forward-thinker with action-oriented policy. The LGBTQ+ communities and their right to live their lives as they please deserves the same priority as that of any other demographic. While Larry believes in freedom of association, he recognizes the need for measures that ensure marginalized groups, like transgender people, are protected. He supports band-aid measures, including GENDA, which is a law with specific components intended to protect people from discrimination due to their gender identification. To truly advance rights for transgender people, as well as all those within the LGBTQ+ populace, it is ultimately Larry’s goal to encourage a culture that no longer requires these types of laws. We must work towards acceptance. It is imperative to acknowledge that if an individual’s actions have no impact on ourselves or others, nobody else has the right to assert dominion over that person’s identity or lifestyle. In its current, restrictive laws, New York state requires all motorcyclists and passengers to wear ANSI approved helmets unless specifically waived by local police for parades or other special events. Operators in New York are also prevented from equipping their motorcycles with red, white or blue accent lights to increase visibility. Additionally, there are no statutes outlining specifics regarding the use of any other colors. Larry believes that licensed riders understand the risks of riding and are able to operate them safely without helmets. While helmets do increase the likelihood of surviving an accident, some studies show helmets can carry their own risk by limiting the rider’s peripheral vision. Peripheral vision can provide critical information in the short seconds before an accident occurs. As Governor, Larry Sharpe will support legislation that supports motorcyclists’ rights to be responsible for themselves and their own equipment. This includes assembly bill A 218, which removes the helmet requirement for riders 21 years of age and older. He will also support legislation that allows motorcyclists to add accent lights of their choosing regardless of the color. The headlamp currently required by DOT would remain unchanged. Many motorcycle accidents are caused by other drivers inability to see motorcycles on the highway. Any additional accent lighting will only serve to aid other drivers with greater visibility for the cyclists. Responsibility must be returned to motorcycle operators and owners will likely have enough common sense to refrain from using lights could cause them to be clearly mistaken for an officer of the law. If this mistake is made they could be prosecuted for impersonating an officer. 1) Establish necessary priorities for completion prior to the L-train tunnel. This includes revamping modern NYC bus routes as opposed to analyzing those of the 1930’s as suggested in the Byford plan. This must be done first so the buses can accommodate the increased passenger load expected during subway construction. 2) End the poor administrative processes, inefficient managements of resources, and borrowing of funds that has caused the MTA to become cash revenue poor. Instead, a greater emphasis will be placed on requiring the MTA to use its existing city and state subsidies more effectively. 3) Examine innovative revenue opportunities, beyond simply raising fares and/or taxes. One option for additional funding could be gained by allowing naming rights for MTA facilities in exchange for ending tolls on the bridges and tunnels it owns. When considering naming rights, like those permitted for stadiums, both the profitability and marketability are apparent. The MTA must also explore its potential to gain additional revenues by functioning as a freight transportation option. 1) The L-train project will be pushed to the forefront and required to be completed in a timely manner and return to operation with a fully functioning Communications-Based Train Controls (CBTC) system. Revamps on bus routes must take place prior to the beginning of this project all relative routes will be fully evaluated, standardized, coordinated and communicated (ESCC), so that in the wake of the subways being taken down for signal work, there are minimal disruptions to commuter transit times. 2) Controlling costs on existing projects can be done through the implementation of a Scope Control Board that can offer additional oversight for the Capital Program Oversight Committee (CPOC), an organization that has continuously failed to control costs, scope and schedule on large capital projects like 2nd Avenue Subway. The Scope Control Board will consist of the Governor, New York State AG, Mayor of NYC, and both the New York State and NYC Comptroller. they will approve any changes to the scope of all large capital projects like the second phase of 2nd Avenue Subway. 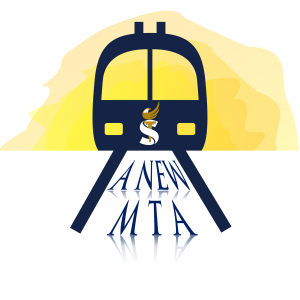 3) A series of Lessons Learned meetings will be held by MTA internally with a final research paper and public presentation, aimed at analyzing the findings of the meetings and identifying necessary adjustments for greater success of future endeavors. 4) All further spending on the 32 MTA station renovations will be redirected to upgrade accessibility for the disabled in compliance with ADA and/or to pay off a portion of the S1.6 billion Governor Cuomo strong-armed the MTA into borrowing. 5) No additional expenditures for subways cars will be approved until a CBTC implementation plan is in place which would eliminate unnecessary costs for additional retrofits. 6) In an effort to control costs, the MTA will be commissioned to develop standard crew sizes and uniform overtime rates for capital projects. 7) A 4-year planning cycle will be required for all existing mega-project work identified in the Byford Plan. Survey and design will occupy the first two and a half years of the project with procurement and construction occupying the latter one and a half years. The MTA will be given the opportunity to use their existing Request For Proposal (RFP) process for naming rights to solicit bids for bridges, tunnels and high traffic tourist subway stations like Mets-Willets Point. The administration will also encourage the MTA to write an RFP for a feasibility study on the transportation of small to medium CONEX boxes on the six express line from the Bronx to Bowling Green. 1) The freight will be offloaded at existing subway stations that are now sitting abandoned on those lines at night when passenger traffic is at its lowest. 2) Freight boxes will be loaded and unloaded using currently existing technology such as high capacity vacuum systems. These systems are currently used to load large heavy steel pipe but can be modified for other cargo. 3) The freight system would work similarly to an airport with logistics companies providing funding for construction of the facilities as a part of their lease agreements with the MTA. All further spending on the 32 MTA station renovations will be redirected to upgrade accessibility for the disabled in compliance with ADA and/or to pay off a portion of the S1.6 billion Governor Cuomo strong-armed the MTA into borrowing. Finally, as previously mentioned in the above goals section, companies will be footing the bill for maintenance and upgrades in exchange for advertising and the right to lease and brand MTA components according to market-based negotiations. To confirm the viability and marketability of this plan, our campaign conducted a phone survey among marketing professionals of large businesses and major corporations with advertising budgets typically in the millions. Click here to read a research-intensive policy white paper that identifies data and sources in support of these policy measures. 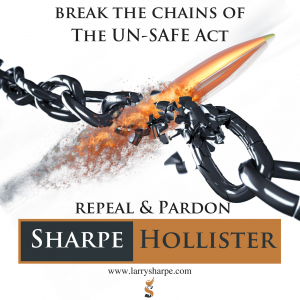 1) The risk of turning good people into hardened criminals just because of a Safe Act violation is a serious problem. In spite of the large sums of money New York has dedicated to helping people with special needs, the state continues to provide subpar services. 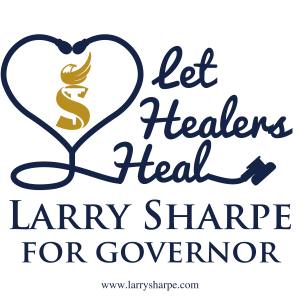 Larry Sharpe knows that our best option to end this injustice is to increase the availability of self-directed services. This will enable them to pick and choose the accommodations they want, allowing individuals to meet their own unique needs. Instead of funding a large bureaucracy that simply checks boxes on a form, the dollars allocated to this program would be put into Healthcare Debit Accounts (HCDAs). They will be able to pay for their necessary services by swiping a card. If the recipient already has a HCDA, the money will be added to their existing account so there is only one card for them to keep track of. Larry will allow for the funding and creation of “community hangouts”. In these non-profit centers, people with special needs can meet to socialize, help one another, and receive guidance from volunteers. These community hangouts will be exempt from many of the strangling restrictions the state currently has in place. These restrictions assume that all people with special needs are incompetent, but many are fully capable of making their own decisions without a paternalistic government making decisions for them. Removing these restrictions will encourage these community hangouts to be established and readily available to provide free or low cost support to those who may need it. We expect many of these organizations will freely associate with specific types of special needs cases but it will not be required by the state to enable each community to meet its own needs. 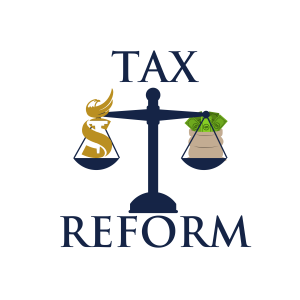 The Community Tax Credit (CTC), which lets taxpayers choose a charitable organization to support with pretax dollars, will be a mechanism through which these services can be funded as well. We anticipate it will be a popular mechanism for donations to charities designed to benefit those with special needs. 1) The necessary funds to meet these demands are dwindling because 1/3 is on Medicaid and the remaining number of taxpayers are dropping off as people leave New York in droves. The best way for the remaining taxpayers to implement change is to vote. 1) In the next four years, we must negotiate any pensions currently in the state budget to be transferred to 403(b)s and other options that no longer require state funding. Failure to do so will take New York down to path to eventual default on meeting our existing agreements- potentially leading pension payments to be dropped by as much as 50%. 2) We can reduce the cost of Medicaid by reducing healthcare costs and expenditures. Opioid overdoses cost New York state billions of dollars. By taking the simple steps necessary to prevent opioid overdoses we would save enough money to wipe out New York’s budget deficit and bring in a surplus. In order to increase overall employment and wages, we must eliminate poverty traps and make New York more friendly towards small business and hiring. Increasing these economic indicators will help alleviate some of the state’s poverty troubles, enabling more people to no longer require Medicaid. 3) We must implement alternate sources of revenue beyond the ridiculous taxation across the state. Some options include: running commercial freight on low volume subway lines at night, leasing the naming rights to infrastructure and taking action to make the Erie Canal commercially viable again. 4) We will end the subsidies currently given to major corporations that move in, wreck local and small businesses and leave once their tax savings program ends. By creating an environment conducive to business, small firms and entrepreneurs will once again organically move into New York and remain for the long term instead of simply responding to special favors or interests relative to the state and local government. Unions have been an integral part of American society for the past century. Unfortunately, well- connected elites have often used state power to simultaneously suppress workers’ movements and enrich organized crime as they have climbed the union leadership ladder. The Libertarian Party believes that individuals have a right to freedom of speech and assembly, and it encourages mutual aid to alleviate the struggles of the working class. Unions can be critical to managing the intersection of those three concepts. Larry favors union bargaining rights and membership, including within public sector unions, as long as it is voluntary and not a condition of employment. Unions must be more transparent to expose the corruption that has endowed top union executives at the expense of their working class membership. They need to be more responsive to their membership, instead of focusing most of their time on cover-ups. Although it will be painful in the short-term, the Supreme Court’s recent decision in Janus v. AFSCME will introduce healthy competition into labor organizing which can be a tool to help union membership pressure their leadership into representing them more robustly. There are many reforms necessary to prevent the insolvency of union benefits. In the next four years, we must negotiate any pensions currently allocated within the state budget for transfer to 403(b)s or other options that guarantee perpetual sustainability. Failure to do so will lead New York to an eventual default on existing agreements which could cut pension payments by as much as 50%. Additionally, state healthcare plans will be converted to HealthCare debit accounts (HCDAs) or traditional HSAs. Both of these options will prevent out of pocket payments and will be supplemented by their existing insurance plan, which will pick up the tab once the the debit or savings account runs out. This means employees can expect the same level of coverage they currently have as well as the ability to visit virtually any doctor they choose. Larry supports prevailing wage laws as unions encourage their members to produce high quality goods and services for their employers. He also supports these laws because attacks on prevailing wage lowers wages in the short term and has a negative long-term impact on New Yorkers’ quality of life. Employers must be transparent and honest in their negotiations with unions and union members must recognize that their fate is ultimately tied the financial health of their employer. 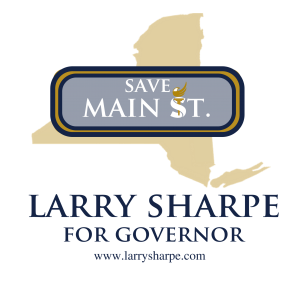 Larry Sharpe would negotiate fairly with unions to meet the needs of the worker, including the Corrections Officers Union, with whom Cuomo has failed to negotiate a contract for in the past three years. There is no denying the complexity of the challenges women face. Confronting these conflicts is an incredibly important objective for Larry Sharpe and his administration. Our policy initiatives seek to empower women to have as many options as possible to make often difficult decisions easier, including those involving their careers, children, and families. The current administration in Albany has struggled with sexual harassment allegations. The culture in the capital has authorized and emboldened many officials, including Vito Lopez, Eric Schneiderman, and Governor Cuomo, to disrespect the autonomy of women. Such conduct highlights reality: the fact that they do not sincerely view women as their equals. Instead of treating women as personal and intellectual equals, they are objectified and devalued. Governor Cuomo’s contribution to a hostile working environment for women was apparent during the WCBS Gubernatorial debate in late October. While addressing the female moderator, not only did he blatantly disrespect the authority of her role, but he also went so far as to make the claim he couldn’t sing “Empire State of Mind” for her, “unless [she came] to the shower with [him]”. The fact that he failed to stop himself from making such an inappropriate remark shows his abject lack of credibility as an advocate for women’s rights in this state. Women in the workplace should be able to pursue their careers without fear of harassment. Larry supports the recommendations made by the Sexual Harassment Working Group with minor changes implemented to ensure due process for the accused. Fostering a culture that encourages any woman or man to speak out without fear of reprisal is very important to Larry. Unfortunately, sometimes Zero-tolerance policies have the opposite effect than they were intended for. Such policies may discourage first-step discussions that could resolve many issues without further escalation. There will be avenues for reporting that enable and encourage immediate investigation, and disclosure of whether the incident is “indicated”, or one that turns up potential evidence, as opposed to non-indicated which is unsubstantiated. This is similar to current monitoring and reporting methods in child abuse claims. If there is an indicated report, then steps must quickly be taken to protect the victim. If numerous non-indicated reports have been filed, it is a sign that a more thorough investigation is required. Every victim of sexual harassment should be have the chance to be heard, and in the manner in which that person feels the most comfortable. Special attention must be given to the resolution process on a case-by-case basis. In some instances, intervention and/or mediation may be all that’s required if an adequate argument shows that someone unintentionally made someone else uncomfortable. It is important to ensure people have an opportunity to learn from their mistakes without automatically losing their careers or facing public humiliation on the basis of a misunderstanding. Communication is critical, and sometimes these situations can be remedied by simply talking things over. People who are shown to habitually and / or intentionally commit harassment will have to answer for their misdeeds. One of the most difficult obstacles for parents, especially single mothers, is navigating how their children are cared for while accommodating their work schedule. In addition to the cost of care being incredibly high, there is great concern regarding the availability of quality care. We will facilitate the creation of child gardens which are non-profit organizations that provide childcare. In this scenario, the non-profit will not be bound by nearly as many expensive requirements and regulations that current traditional childcare facilities are bound by. Of course, traditional childcare options will still be available for those who prefer it. This arrangement works especially well for lower-income families and / or those in which parent(s) only work part time or have a non-typical schedule. On an off day, the parent could volunteer to help watch the other parents’ children at the child garden and while being able to bring their own kids along. This allows parents to spend time with their own children while also helping meet the care needs of other parents in their communities. These low cost, and, in many cases, free child gardens will make going to work more affordable for women and offer them greater flexibility in pursuing the career they have chosen. Long career pauses that have often hindered career prospects in the long-run will no longer be necessary. Additionally, women will have the freedom to return to work when they are ready. While Larry is personally against abortion, he recognizes such a judgment is not the responsibility of the state or its leadership. Instead, he will ensure that alternatives to abortion are more readily available by guaranteeing easy and affordable access to birth control. Women will no longer have to go to a doctor to get birth control. It will be available over-the-counter. If women want insurance to cover the medicine, they will be able to receive a prescription from any pharmacist, following a brief evaluation. The barriers to gaining access to birth control, including making an appointment and the costs that may be associated with the appointment, will be eliminated. Under this plan, the women of New York will have increased control over their reproductive health and greater flexibility in family planning. 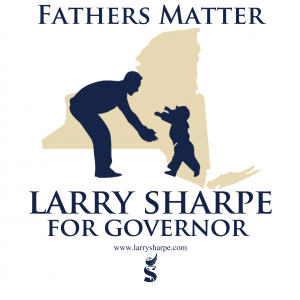 Larry will also ensure that other conception-related options, like adoption and surrogacy, are more accessible and affordable for the women and families who wish to utilize them. Additionally, critical education and information regarding those options will be readily available. With Larry as governor of NY, there will be fewer abortions as a result of the increased focus on non-abortion options. Most importantly, there will be zero involvement on the part of the government in making such decisions. Please see below for a letter from our Policy Director, Siobhan Lynch, on the principles and ideas that went into Larry and his team crafting a vision for a New New York.